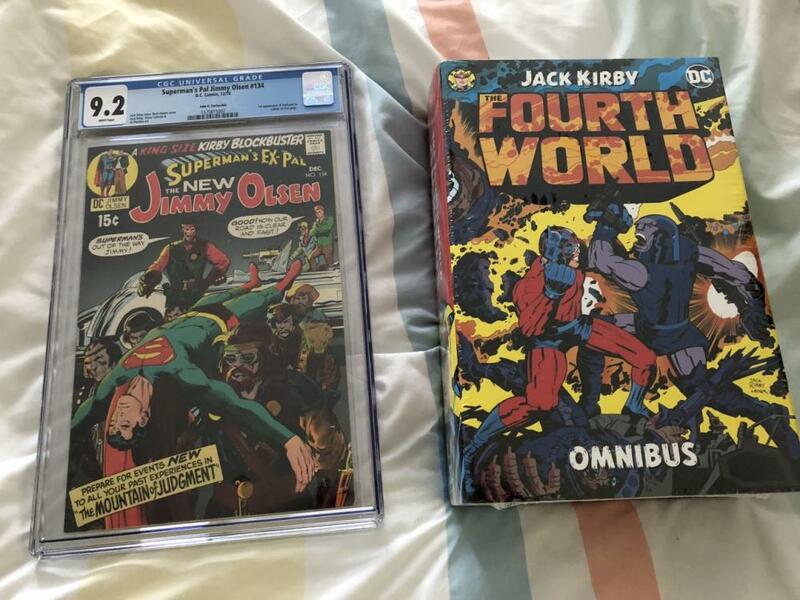 I've got to get me a copy of the Demon one, but this past year I picked up a copy of the complete Kirby Fourth World to go along with my copy of Jimmy #134. Awesome collection. I've got to get me a copy of the Demon one, but this past year I picked﻿ up a copy of the complete Kirby Fourth World to go along with my copy of Jimmy #134. Awesome collection. On another BPRD hardcover note: Hell on Earth Volume 2 had an error in the first printing. I purchased it from In Stock Trades. When they reprinted the book correctly, In Stock sent me a copy of the revised edition for free, without me asking. Great company with great service and packaging (no affilliation). When I read the Fourth World omni #1-4 the grandeur of the underlying mythic vision completely blew my mind. It’s so tempting when you paid $25 and they’re selling for $150! But yeah, then you don’t have them anymore! yeah i sold a ton of books when we moved overseas thinking we would end up in a smaller place... and ended up living in a big house!